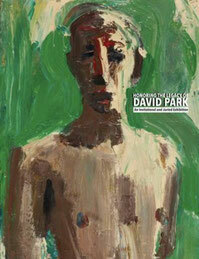 Catalog for "Honoring the Legacy of David Park"
Celebrating the Legacy of David Park will be a two-part exhibition honoring the spirit, influence and artistic legacy of painter David Park (1911-1960). Park, who returned to painting the human figure in an era when abstraction was dominant, was known for paintings that celebrate human dignity and decency. This exhibition is not intended to showcase paintings that simply resemble Park’s works, but rather to honor his legacy of artistic honesty, strong work ethic, and commitment to the figure. 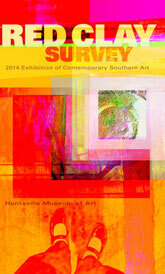 This juried show is funded in part by a grant from the Sam Francis Foundation. 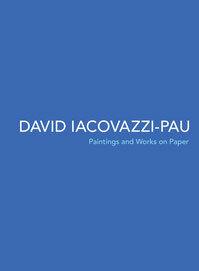 David Iacovazzi-Pau: Paintings & Works on Paper. (full-color catalogue published by Old Stone Press). Available on Amazon and Barnes & Nobles. This catalogue was published on the occasion of a traveling exhibition of the portraits of David Iacovazzi-Pau. The featured artworks celebrate members of the Louisville, Kentucky artistic community, who through their creativity, support, and passion for the arts are truly the life-blood of this community. The desire of Iacovazzi-Pau to feature these individuals illustrates his deep commitment to the arts that is engrained in his being and led him to seek out relationships with fellow artists and to absorb exhibitions, performances and artistic theory and history, in addition to honing his own skill. The many plates included in this catalogue show the range of Iacovazzi-Pau and the evolution of his style over four years and serve as a wonderful tool for studying the artist's works on paper and paintings as an accompaniment to viewing the works in person. "Portraits of the artists by lacovazzi-Pau"
The Carnegie Center for Art and History in New Albany is currently running a new exhibit, “Held from Beneath: An Exploration of Cultural Sustainability,” on display through April 4. “Held from Beneath” includes an exhibition and events featuring visual art, poetry, music and performance that explore the concept of cultural sustainability. 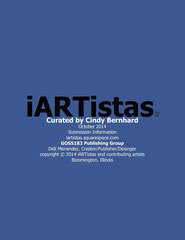 Visual poetry, collaborations, portraits, art, photography, sound, video and digital works. It was an honor -- and a huge amount of fun -- to browse through the more than 300 entries that were presented to me as this year's juror for the 25th Annual Juried Show of the Contemporary Arts Center, Las Vegas. After looking over all the images twice, and then sleeping on it, I chose 36 works by 36 artists which I saw in person for the first time last night. Continue reading. “Portraits by David Iacovazzi-Pau”, the latest series by the artist, opened at the Swanson Contemporary Gallery on November 1st. David was born in Grand Duchy of Luxembourg, and began his education in fine arts at the age of 15 in Belgium. He later attended the Centre Académique des Arts in Luxembourg and immigrated to the United States in 1997, studying at Indiana University Southeast. In a sit-down with Iacovazzi-Pau, he talked about his latest collection of portraits. His paintings reveal various aspects of the sitter through an analytical perspective reminiscent of the later work of photographer Richard Avedon or the oversize paintings of Chuck Close, yet Iacovazzi-Pau injects enough warmth to avoid the relentlessness of their work in favor of something more compassionate. Continue reading. 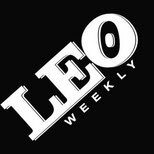 "Top 5 events this week"
Artist David Iacovazzi-Pau has dedicated much of his career to painting portraits in series. His free exhibit, which opens today at Swanson Contemporary, includes oil portraits of people such as fellow portrait artist Gaela Erwin and musician Will Oldham. WHEN: Friday-Nov. 30. 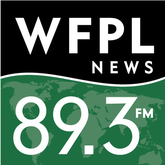 Opening reception, 5 to 9 p.m. Friday. "Portraiture Solo Show Includes Familiar Faces"
Louisville-based painter David Iacovazzi-Pau's portraits go up in a solo show at Swanson Contemporary this weekend (638 E. Market St.). Iacovazzi-Pau's portraits include a variety of Louisville artists and personalities like writer Ron Whitehead and (coincidentally) Will Oldham. Bonnie Prince completists might be able to check off several life-list items Friday night. "Another dominant group of work was portraits by David Iacovazzi-Pau. One grouping of four and another oversize piece, “Moulay,” is situated to catch your eye as you enter the room. The oil-on-canvas photo-realist image is intriguingly smeared as if digital images had suffered some distress, lending the otherwise straightforward portraits a slightly surrealistic tone." "Idiosyncrasies and Mood are what Influences the Portrait"
"David Iacovazzi-Pau is a quiet man, a sensitive person who lives in our psyches..."
Some of David Iacovazzi-Pau's new paintings are art history lessons, introducing the viewer to the faces of some of the provocative artists in recent memory. These large, oil-on-canvas works include highly detailed portraits of Camille Claudel, Jean-Michel Basquiat, and Auguste Rodin. Rodin, whose cast of the "The Thinker" sits on the University of Louisville Campus, once said "The artist must create a spark before he can make a fire, and before art is born, the artist must be ready to be consumed by the fire of his own creation". Be it representational or abstract, prepare to feel Iacovazzi-Pau's flame as well, for this man can paint. 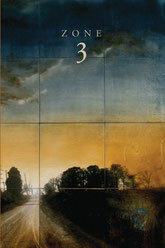 Swanson Reed Contemporary 638, E, Market St. 589-5466 free; 11a.m.-6 p.m. Wed.-Sat. Swanson Reed Contemporary has extended the exhibition of "New Paintings" by David Iacovazzi-Pau through Friday. Iacovazzi-Pau of Louisville was born in Luxembourg studied art in Belgium and at University Southeast in New Albany, IN. His portraits explore and explain the silent conversations that living artists, especially painters, have with painters of the past, proving that art history is a living thing. The gallery at 638 E. Market St., Louisville is open 11 a.m. to 6 p.m. The paper, signed by Jerry Abramson, reads "Louisville Office of Mayor Proclamation: Greetings to whom all these presents shall come, know ye that 02/21/03 is hereby proclaimed in Louisville to be David Iacovazzi-Pau's art Exhibition Day, and I urge all citizens to observe this special recognition." Not bad for a 23-year-old artist having his first solo exhibition in America. So who is David Iacovazzi-Pau? He was born in Luxembourg, where he studied at Le Centre Academique des Arts as well as St. Benoit in Belgium. After coming to America in 1997 he lived in New York City briefly then to Louisville, where he is studying art at Indiana University Southeast. He cites the art movements of Abstract Expressionism and Pop Art as major inspirations and is greatly influenced by the artists Robert Rauschenberg, Gerhard Richter, Paul Gauguin, Henri Matisse and Eugene Delacroix. Stir all this together and the result in Iacovazzi-Pau's work is an interesting mix of the love of color. He specializes in oil on canvas paintings consisting of geometric shapes in bold colors. The color choices are usually hues opposite each other on the color wheel; this type of color scheme has a built-in tension and, as a result, the colors are more powerful together than alone. An example of this technique is used at his current show at Art Beat Gallery. "The Red Ball" is painted with thick greens lines, and nestled in the center is a bright red circle. Two series featured in the exhibition further illustrate his love of colors and shapes. "Untitled I" and its companion "Untitled II", are both non-representational works consisting of lines in blues, violets, yellows and reds. "Tulum I" and "Tulum II" reference a trip he took to Tulum, Mexico. "Tulum I" consists of vertical stripes of yellow and blue with red edges; "Tulum II" is in horizontal stripes of blues and greens. Iacovazzi-Pau's figurative art is excellent, and he excels when he combines it with the non-representational. To get a peek at what the artist looks like, view his "Self Portrait." He looks out at us from the left side of the design, his long, dark hair highlighted by a violet stripe. His image is balanced by a red square outlined in navy on the right. Violet is also used in the square at the bottom of the canvas, and all are set against a yellow background. In "The Blue Shoe" the only thing representational is the shoe. A woman's foot in a blue high-heel shoe is at the top of the composition. The foot rests on red and orange horizontal stripes that cover most of the canvas. At the bottom are swatches of purple, green, red and yellow; red is also on the left side of the design. There are two paintings featuring historical figures in the show. "Une Saison en Enfer" features the 19th-century French poet Arthur Rimbaud painted in monochromatic blue tones with background colors of gold, red-violet and orange. Rimbaud's poem, "Season in Hell", is written in the background. Rimbaud is a tragic romantic figure who wrote all his work before he was 21 years old. He reportedly went insane and moved to Africa, never to be heard from again. Iacovazzi-Pau already has a work in a public permanent collection. "Rach III, Third Concerto in D minor" is owned by the Music Department at IUS. And rightly so, as it depicts the late 19th/early 20th-century Russian composer and pianist Sergei Rachmaninoff in the center of the painting. The rest of the composition is a non-representational mix of the orange, blue, purple, white and green squares and lines. This is truly the masterpiece of his young artistic career. The exhibition is being held at Art Beat Gallery and Gifts in a great space designed by local architectural designer Michael Barry.